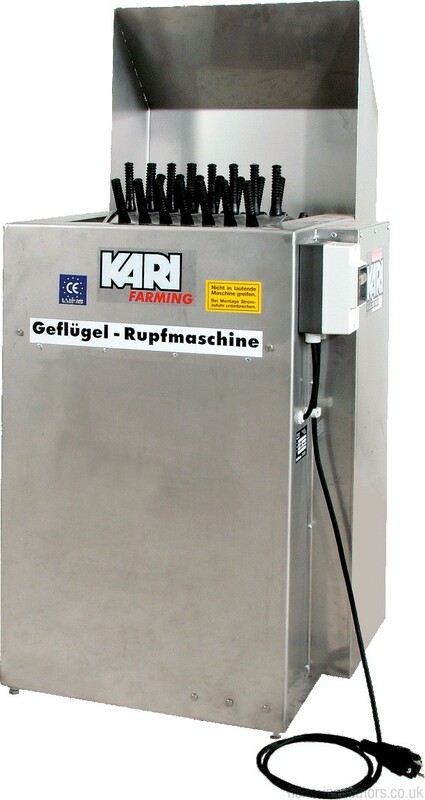 Freestanding Plucking Machine, Stainless Steel. Good for Duck and Geese, Turkeys and Chickens. This machine benefits from a strong, long lasting construction. Requires: 240V electricity supply. 400v model available.